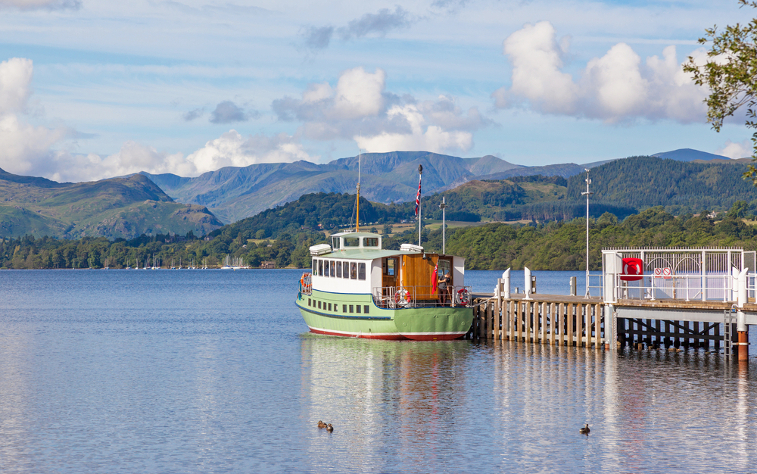 Whether it’s a steamer on Ullswater, or a Derwentwater cruise from the Keswick Launch, exploring the Lake District by water is a must for an unforgettable family experience. 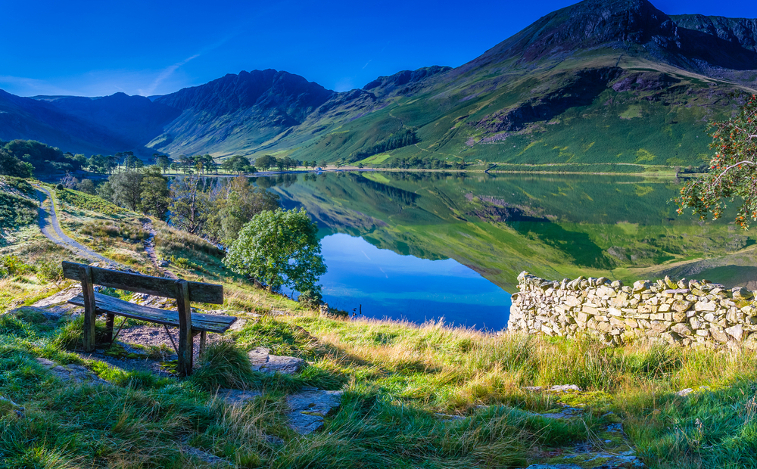 Both of these cruises stop off at brilliantly located jetties dotted around the lakes, which make for the starting points for some excellent walks. 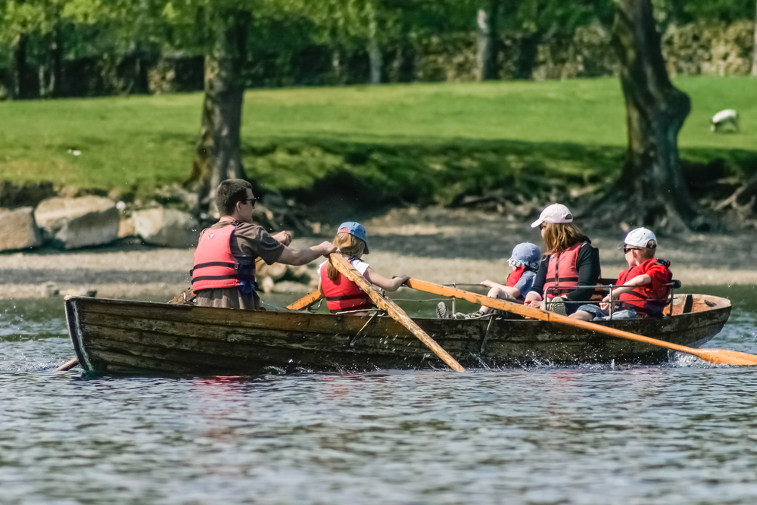 Alternatively, you can get more hands on and commandeer your own vessel – many of the lakes you visit in the region hire out kayaks and rowing boats, and you can even try your hand at sailing, too. 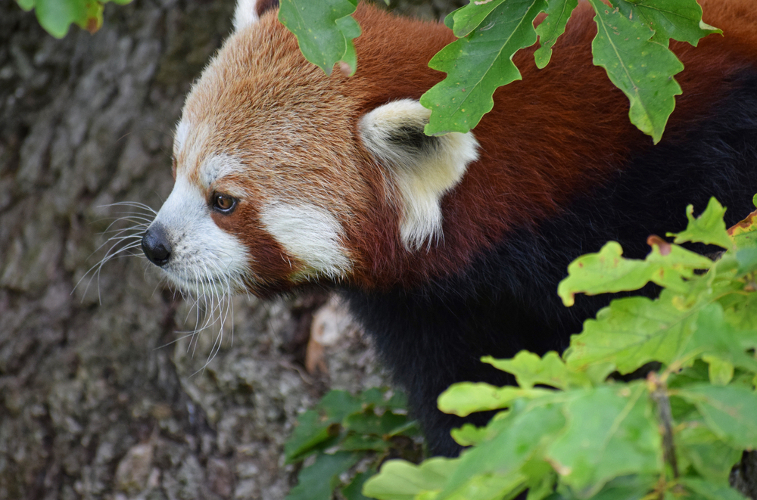 Home to more than 100 species of animal, this delightful 24 acre wildlife park in Bassenthwaite is only a few miles from Keswick, and just round the corner from our holiday park. The whole family will be enchanted by the charming animals, which include Brian, Europe’s oldest Lar gibbon, as well as lemurs, zebras, meerkats, mongooses, mandrills, lynx, red pandas and more. There are also fascinating reptiles, including Beauty the boa constrictor, and daily birds of prey displays. Kids will also love the indoor and outdoor play areas. Get up and close with Peter Rabbit and friends at the magical World of Beatrix Potter in Bowness-on-Windermere. This interactive exhibit brings the works of the beloved children’s author to life in a brilliant family attraction, perfect for visiting if and when the weather takes a turn for the worse. 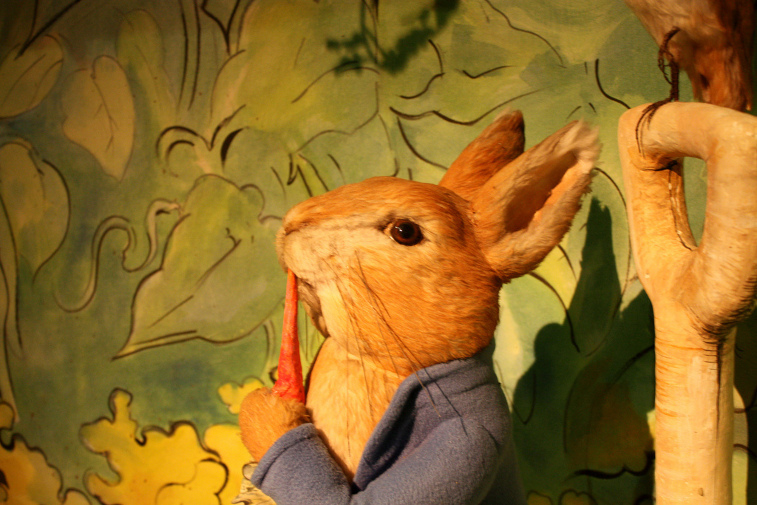 All 23 of Beatrix Potter’s stories feature in the enchanting exhibitions, and through the summer months (26 May-2 September 2018) you can also enjoy the live theatre show ‘Where is Peter Rabbit?’. 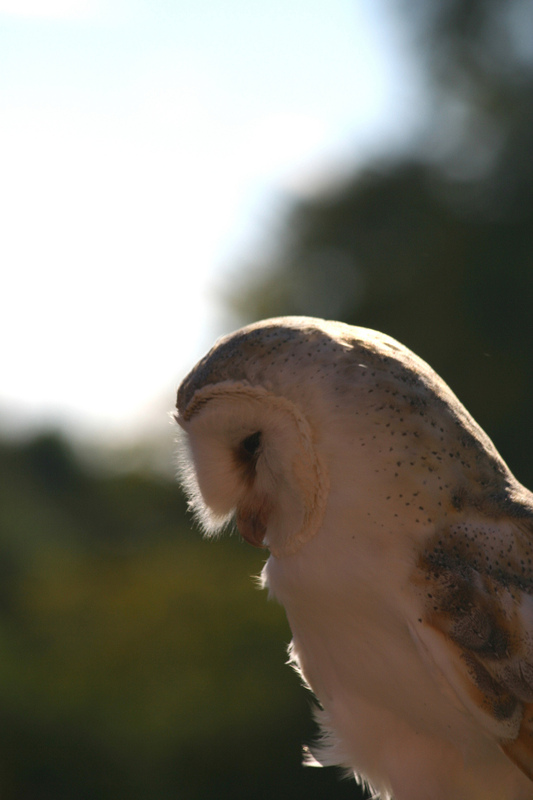 Within the spectacular grounds of historic Muncaster Castle, you’ll find the World Owl Trust – whose aviaries are home to more than 49 species of bird, from massive to minute, fierce to friendly. This includes unusual and endangered species such as the Ethiopian eagle owl and the Haitian ashy-faced owl. There are twice daily bird of prey flying displays in the main season, included in the price of your Gardens ticket, where you can see for yourself the silent flight of an owl, or the incredible speed of a falcon, as they hunt their prey. The Castle and Gardens are themselves well worth a visit, too, with 77 acres of gardens and woodland to explore, and a historic castle dating back 9 centuries – said to be one of Britain’s most haunted. 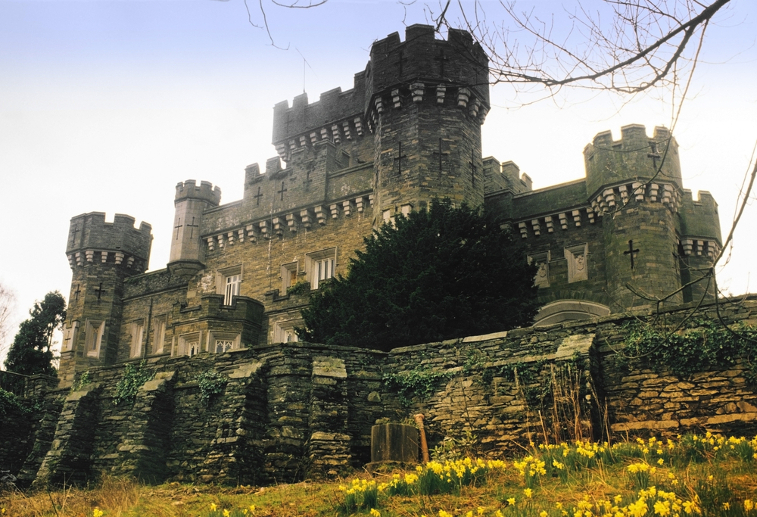 Wray Castle, set on the banks of Windermere, is perfect for kids. With its imposing, big turrets, it looks the part of a picture book imposing castle, but it’s actually a mock-Gothic private home that dates back to 1840 – the National Trust inherited it without any furniture or fittings, and have since turned it into a child’s paradise with different fun activities in each room. It is now a treasure trove of dressing-up and den-building areas, table tennis, giant games, arts and crafts rooms, and there is a fantastic adventure playground with rope swings and family trails to explore outside. Learn all about the diverse marine life in the Lake District at the Lakes Aquarium, found on the southern edge of Lake Windermere. With more than 30 naturally themed habitats that tell the story of the Lake District’s natural history, and hundreds of amazing creatures to see, it makes for a fascinating visit for children of all ages. Species range from local wildlife from around the Lake District, to more exotic species found around the world – from pike to piranha, pipefish to clown fish, frogs to axolotls. 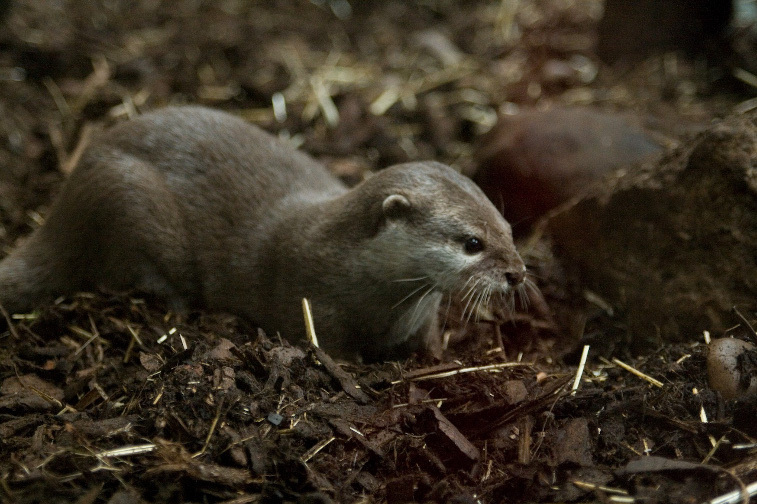 The star attractions are probably the adorable pair of Oriental small clawed otters, the smallest of the world’s 13 otter species – you can watch them frolic around their woodland home, and enjoy feeding time at 10.30am and 3pm. The underwater tunnel is also always a fascinating experience, especially for children, as you see the water from a fish-eye view. 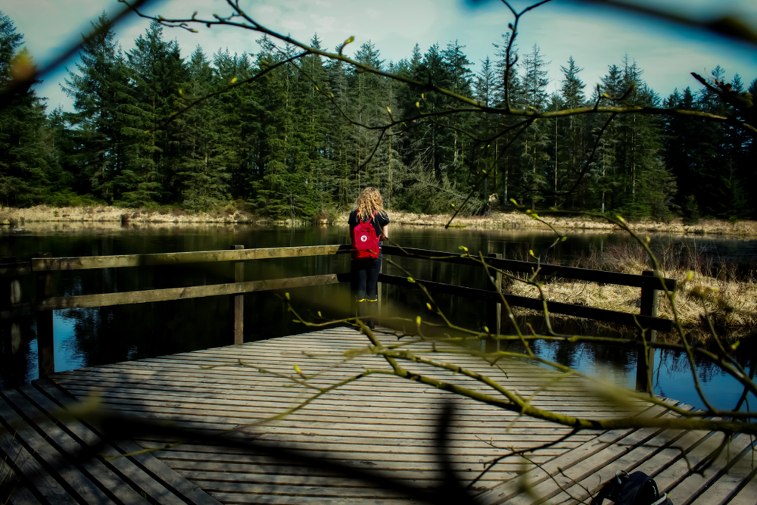 The Lake District is famed for its exposed fells and sprawling lakes, but it’s home to a really varied landscape, which includes two great forest parks at Grizedale and Whinlatter – the latter being England’s only mountain forest. Whinlatter is a real playground for bikers, with its 8km Quercus Trail offering gradual climbs, rolling jumps, and thrilling descents, while still being accessible to anyone who is reasonably confident on a bike – it also provides great views across Blencathra, Skiddaw and other northern fells. Grizedale also boasts cycling trails ranging from 2-20 miles, including mountain bike orienteering. Both Grizedale and Whinlatter are also home to Go Ape! sites, for a thrilling treetop experience that adults and kids alike can enjoy. A great rainy-day option, and always a hit with kids, the Puzzling Place is a miniature gem found in the centre of Keswick. Taking the theme of illusion and running with it, the Puzzling Place uses tricks of perspective to leave you unable to believe your eyes. 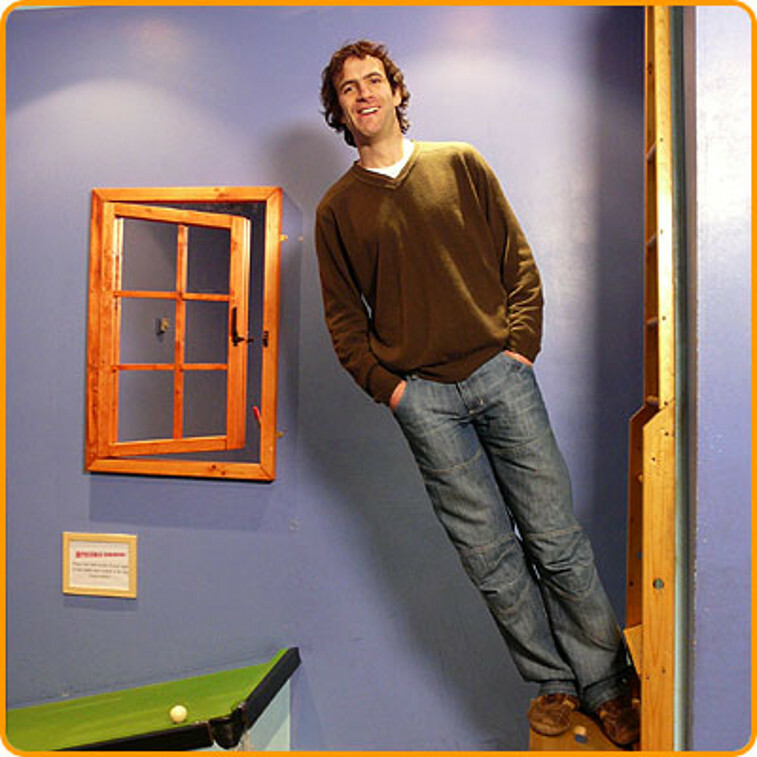 The main exhibition is home to an ‘Anti-Gravity Room’, ‘Ames Room’, ‘Hologram Gallery’ and ‘Eyelusions Exhibition’, which all have their own dazzling tricks – the ‘Ames Room’, for instance, uses the effect used in the Lord of the rings films to create tall and little people, and as you walk across the room you’ll find yourself visibly growing and shrinking. 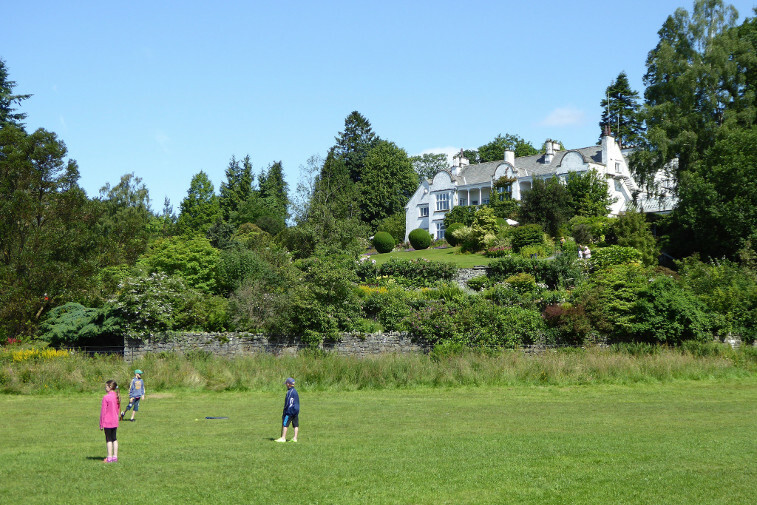 The Lake District’s official visitor centre is found on the shores of Lake Windermere, and offers an incredible range of activities that kids will love. There’s boat and bike hire, archery, rafting, pony rides, mini golf, an adventure playground, and a wealth of outdoor trails – but perhaps the standout attraction is the Treetop Nets. More than 1,500 metres of giant trampolines, walkways, slides and tunnels made out of netting have been safely suspended between trees up to 9 metres above the ground – and it’s safe and suitable for anyone from 3 years upwards. There is also an exciting Treetop Trek, where you can swing, climb, balance and fly your way through 250 year old oak trees in 35 different treetop challenges, leading up to a 250 metre triple zipline racing down from the 14 metre high treetop tower to the shoreline. Of course, any visit to the Lake District would be incomplete without taking in at least one of the many, many spectacular walks to be found around the region. While some are probably too long, difficult or strenuous for children, there are still plenty that the whole family can tackle – we’ve put together a list of ten that you can find here. We hope we’ve helped you find some inspiration for a great family day out in the Lake District – but we’ve only just scraped the surface of what’s on offer in the region. Come explore the possibilities yourself; we’d love to welcome you and your family to our caravan and holiday park set on the shores of beautiful Bassenthwaite Lake – click here to view our facilities and book online. We also have a luxurious holiday cottage that sleeps up to 8 people, find out more here.